If you’re like the rest of us, then occasionally you screw up royally. 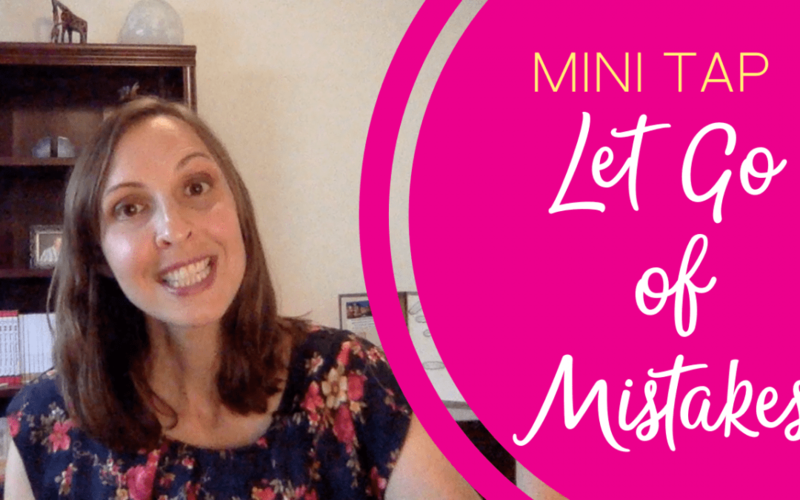 When we do that, it’s normal to feel guilt, remorse, shame…..
I’ve talked about holding onto neurotic guilt in this post on Paying for Mistakes. But if you want the really short version, holding onto guilt after the fact hurts us in several different ways. Well, we can choose to let it go. Forgiving ourselves when we screwed up (especially when we hurt other people) can be tough. Trust me, as someone raised in an old-school Catholic household, I know a thing or two about guilt. But the good news is, it can be done. Know where I’m going with this…? Yep – there’s a Tap for that. And unfortunately, we typically replay the dang thing – and what we should have done – over and over and over. I do it regularly. And it works. Some things tap out in just one go, and some of our bigger mistakes…. Well, they could take some repeated goes at it. But each time you tap on guilt and shame, you take away a piece of it. You take away it’s hold on you, so you can forgive yourself, and get on with becoming the best version of yourself. Now full disclosure, when I started creating this tap, I wanted it to be a 3-5 minute mini-tap (the video ended up being 13:30). I mean, we’re all busy people right? And I certainly don’t tap on guilt for more than 5 minutes most days. But I figured that I would leave the video as-is. First of all, because there are some issues that run deep, and we could use a few extra minutes on them. And second, because you can always pull out your favorite bits for creating a shorter version of your own. And if you’d like a refresher on what exactly is going on with tapping, you can check out this blog post on how to use EFT / Tapping for more details. Until next time, Happy Releasing! It has 5 simple strategies for staying positive and on-track, even when other people are doubting and judging you. Click Here! 2. 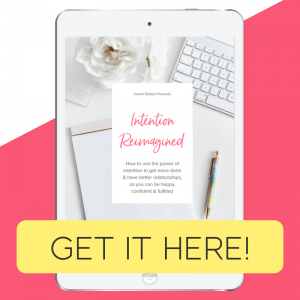 Join Do More Joy and connect with other women who are adding more joy into their lives. It’s my Facebook community where working women learn to create lives with more fulfillment, happiness and success. Click Here! 3. Join my Release & Rise program. I’m putting together a new program together at Do More Joy next month… stay tuned for details. If you’d like to work with me on being more present at work and at home, stopping self-sabotage, and living with more passion and fulfillment, send me a message with the word “Release.” Click here! If you’d like to work directly with me to overcome the blocks that are keeping you stuck in your career and relationships, send me a message with the word “Private”…. tell me a little about yourself and what you’d like to work on together, and I’ll get you all the details. Click here!